Wildcat ace earns college baseball gig!! Besaw gets congratulations from OHHS coaches. James Besaw will pursue his college baseball dreams in the land of the Red Sox. 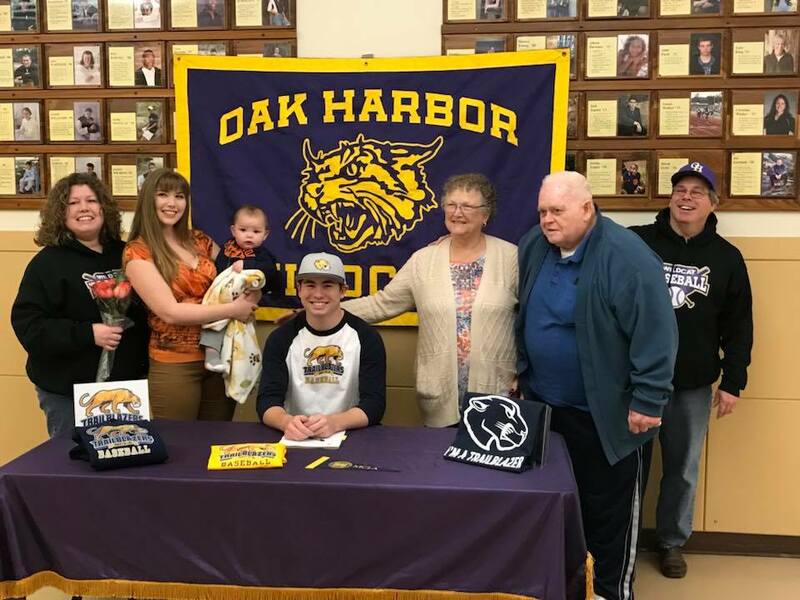 The Oak Harbor High School senior first-baseman is headed cross country to play ball for the Massachusetts College of Liberal Arts, a NCAA D-III school which tracked down the Wildcat slugger online. 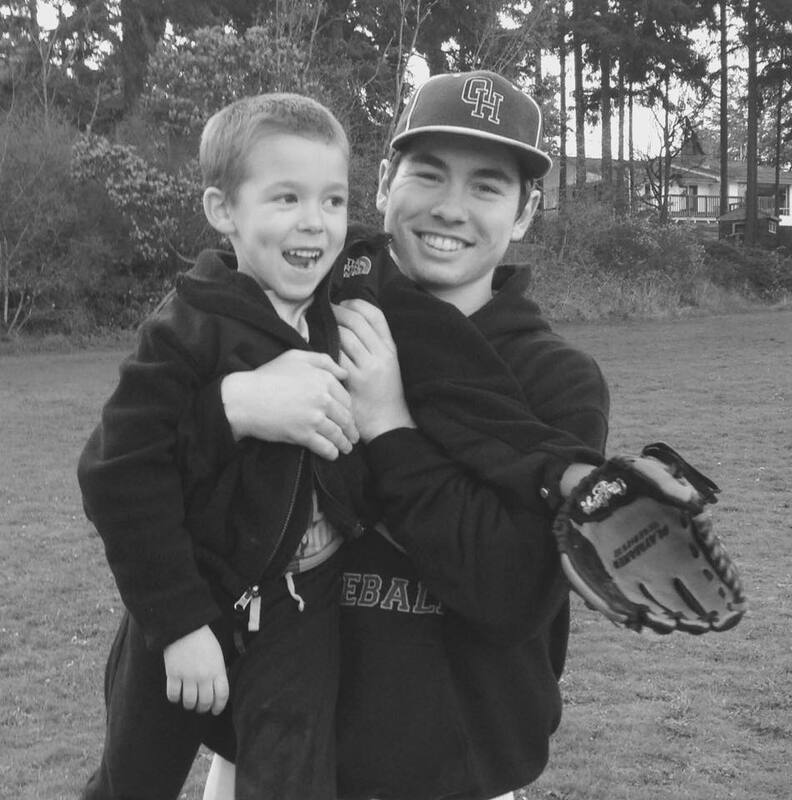 Besaw has grown up playing alongside and against many current and past Coupeville baseball stars, from little league through travel ball days, and his mom, Teresa, worked at the Whidbey News-Times at the same time I did. 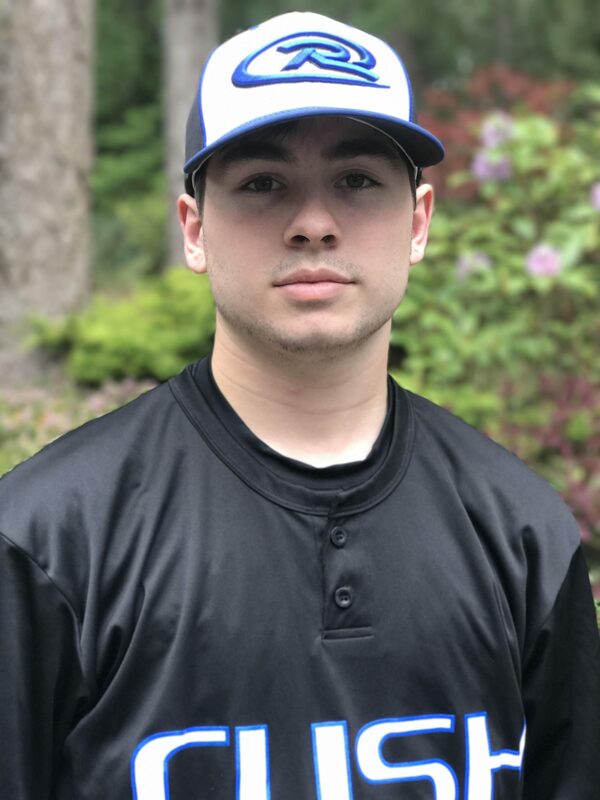 The chance to continue his baseball career on the East Coast is a direct testament to changes in the scouting system for high school athletes. Gone are the days of waiting for a scout to accidentally wander past an outpost in the middle of the water in the Pacific Northwest to see a player. Instead, Besaw posted info and a video on a recruiting website, where an MCLA coach found him. The school, which plays in the eight-team Massachusetts State Collegiate Athletic Conference, paid for Besaw to fly out for a visit in Feb., and his earlier plans to try and play more locally went out the window. While her son will be playing for the Trailblazers way on the other side of the country, James won’t be alone, as his grandfather on his mom’s side of the family is from Massachusetts and he has family there. She had been planning on taking her son to Boston for a Red Sox game as a graduation trip present, but will instead now deliver him to college there in late August. After driving James around the state for baseball games nearly his entire life, one more trip is fine by mom. Hardball sluggers nipped in tourney opener!! That was the margin between the Coupeville High School baseball squad and its foes Friday night. 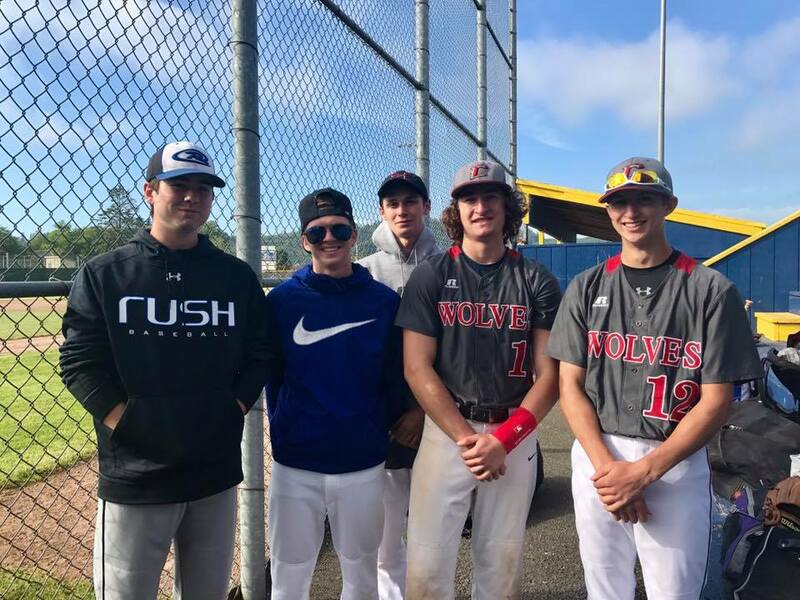 Playing in their opening game at the Grays Harbor 4th of July Bash, the Wolves outhit and were slicker on defense than the Washington Rush Blue Elite. But, in the end, the travel ball squad nipped them in the one category which truly matters, outscoring Coupeville 3-1. The Wolves return to action Saturday afternoon, when they play the Avengers 17U squad at Olympic Stadium. The three-day, 12-team tourney, which runs June 30-July 2, moves into bracket play Sunday. Facing off with the Rush, who have a local connection on their roster in the form of Oak Harbor High School senior James Besaw, Coupeville held a 5-4 advantage in hits and were fairly flawless on defense. Wolf hurlers Jonathan Thurston and Joey Lippo combined to keep the Rush at bay most of the evening, with a three-run third inning the only ding in the armor. Thurston whiffed four in five innings of work before turning the hill over to his teammate. At the plate, Clay Reilly led the way with a pair of hits while Hunter Smith, Dane Lucero and Nick Etzell added base-knocks. Lucero picked up an RBI, bringing home Coupeville’s lone run in the top of the fourth. The Wolves manufactured their score by getting lead-off hitter Taylor Consford on base via an error, followed by hits from Reilly and Lucero. CHS had scoring opportunities in each of the first three innings, but was unable to seal the deal. In the first, the Wolves got a two-out single from Reilly, only to see him gunned down on an ensuing steal attempt. An inning later, Matt Hilborn wore one for the team, getting plunked and scrambling down to first before the sting wore off. A double play ball erased the threat, however. Etzell came the closest to scoring until Consford stamped on home, getting all the way around third base in the top of the third. After stroking a single, the Wolf senior moved to second on a sac bunt from Kyle Rockwell, then made a play for home on a single off the bat of Smith. The Rush came up strong on D, though, catching Etzell on his way home, with the play set up by a throw from Besaw in right field. 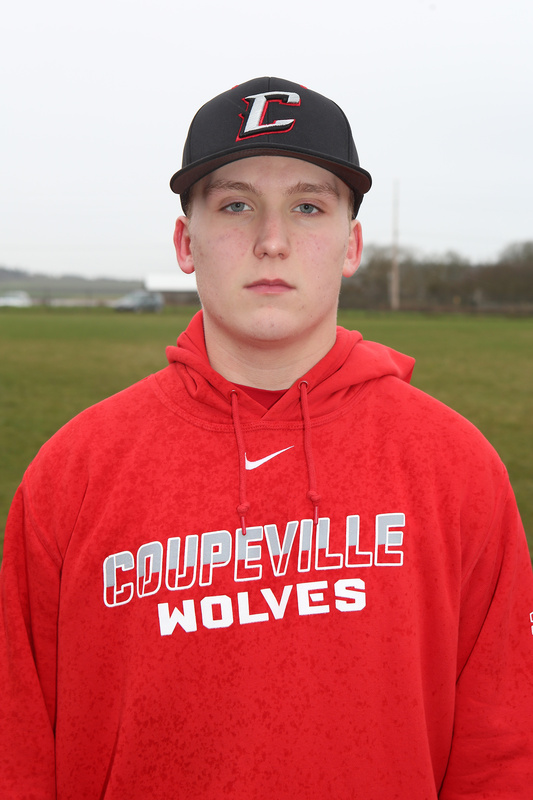 Coupeville’s rivals netted all three of their runs in the bottom of the third, a time period when they garnered three of their four hits on the game. Besaw lined out to second his first time up, then was hit by a pitch the second time he faced off with Thurston. 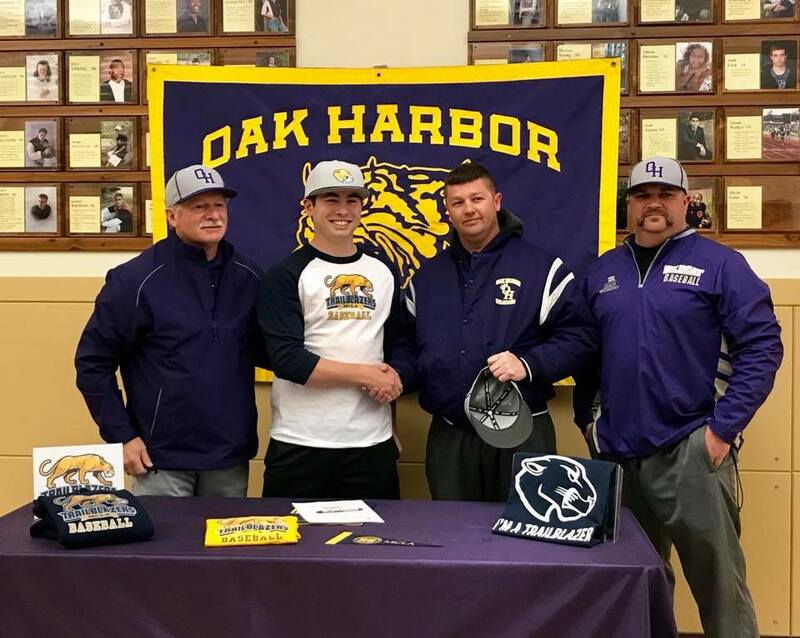 In a bit of an oddity, there were two Oak Harbor players on the field, as Besaw’s Wildcat teammate, Donny Kloewer, is playing with Coupeville this summer. Toss in Consford, a former OHHS player who transferred to CHS and played for the Wolves as a senior this spring, and it was an old school reunion. Love of the game drives Besaw!! Besaw gets ready to rip one during select ball. 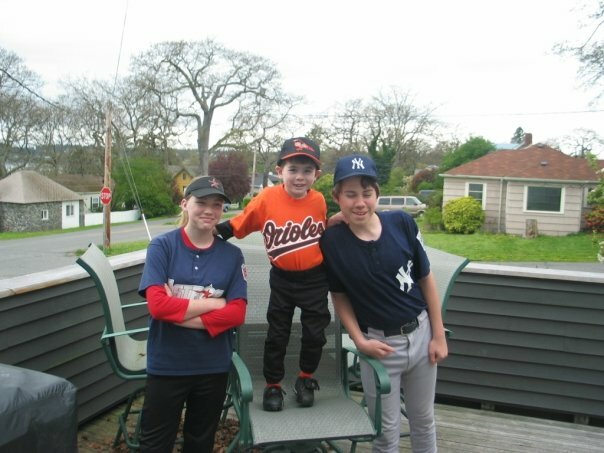 A throwback to little league days, with James (center) hanging out with sister Kenzie and brother David. Passing on the love of the game to a new generation. An athlete for all seasons, James Besaw has played just about every sport possible over the years, but at a certain point baseball became his true passion. “I enjoy playing and watching the game,” he said. “I don’t dislike any teams or players, I like to watch them all. 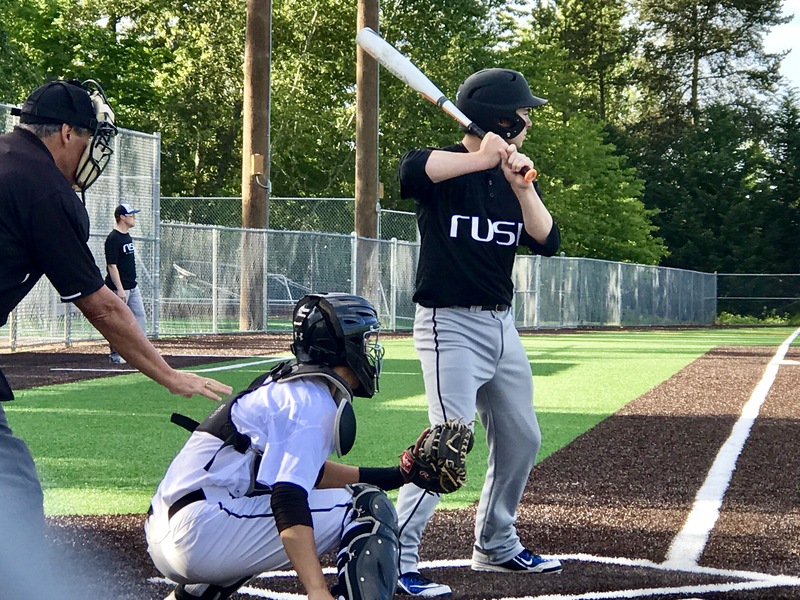 A junior at Oak Harbor High School, Besaw, who flips between first base and the outfield, has been all-in on baseball the past three years. High school ball in the spring, select ball in the summer, then fall ball, before rolling right into workouts to get ready for another season of high school and select play. When he’s not wearing the gold and purple for OHHS, Besaw pulls on the uniform of the Washington Rush these days. Tournament play, which kicks off in Tacoma this weekend, keeps him busy. The youngest of seven (he has three sisters and three brothers), Besaw made his diamond debut at four, inspired by his older siblings. “I wanted to play ball like my big brother David,” he said. Over the years, he’s honed his work ethic and it’s helped him tremendously. Besaw lists his strengths as “speed, hitting and (being) one of the hardest-working people on the team,” but, with an eye on playing college ball at a school “that has a good medical program,” he’s always striving to get just a little bit better. He’s already excelling at that, quietly helping one freshman with his algebra while also finding time to assist a sophomore in getting some extra practice time. As is typical for the low-key Besaw, he doesn’t call attention to his behind-the-scenes work, but his mother notices. “I am biased and think he is a great kid, of course,” said mom Teresa. “He is quiet and mature. I think having all those older brothers and sisters is why he is so mature for his age. Besaw, who has earned academic letters to go with his athletic ones (requiring a 3.5 or higher GPA for two semesters in a row), enjoys hanging out with his friends, watching sports movies (“mostly the real-life story kind”) and his science class. He plans to go into the medical field after school, but is still debating exactly what part of that field to pursue. Through baseball, school and everything else, he greatly appreciates the support and encouragement he’s received from his large family, though he singles his parents out for special praise.